alaTest ha raccolto ed analizzato 130 recensioni su ZTE ZMAX 2. La media della valutazione per questo prodotto è 4.4/5, confrontata con la media della valutazione di 4.1/5 per altri Cellulari. Le persone sono impressionate da fotocamera e usabilità. In aggiunta, schermo e performance sono inoltre apprezzati. Affidabilità e portabilità hanno ottenuto recensioni discordanti. Abbiamo analizzato differenti valutazioni di esperti ed utenti, età del prodotto ed altri elementi. A confronto con altri Cellulari, ZTE ZMAX 2 ha ottenuto un alaScore™ complessivo di 87/100 = qualità Molto buono. The ZTE ZMax 2 packages a big screen and reliable call quality with a competitively low price tag. The handset is heavy and its camera takes inconsistent photos. The ZTE ZMax 2's mediocre camera quality is a notable drag, but it's a capable phone if you're on a tight budget. The ZTE Zmax 2 is an affordable phablet for AT&T prepaid customers, but you can get significantly better hardware and performance for a bit more money. Affordable. Sturdy design. Expandable storage. Solid audio. Removable battery. Relatively stock Android build. Screen washes out in direct sunlight. Camera takes soft pictures. The ZTE ZMAX 2 is a budget GoPhone from AT&T and its price doesn't reflect its performance, this is the ZTE ZMAX 2 review. Nice design for a low budget phone, solid well built, decent screen, fast performance for the price. ZTE's Zmax 2 is an attractive option for bargain hunters who want a big-screen phone that lasts throughout a busy day. Con una pantalla de 5.5 pulgadas y un precio de US$100 sin contrato, el ZMax 2 es un buen ejemplo de un teléfono grade, sencillo y barato. El ZTE ZMax 2 combina una gran pantalla con calidad confiable de llamadas a un precio muy asequible. El celular es pesado y su cámara toma fotos inconsistentes. 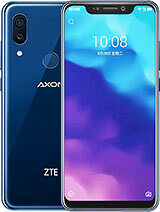 La cámara mediocre del ZTE ZMax 2 es un gran fallo, pero este es un teléfono muy capaz si lo que quieres es gastar poco dinero. At the price paid (119), it's a bargain. We'll see how it holds up over time, as I have only had it for a month, but seems well made so I am optimistic! Loses wifi connections as soon as it connects, it drops. No explanation on google as to why.